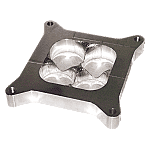 High Velocity Heads - Circle Track Supply, Inc.
High Velocity Heads has been porting high performance cylinder heads and intake manifolds since 1970. 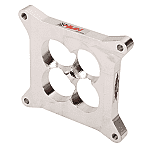 Over thirty years of head porting, head design, intake porting and intake design along with carburetor spacer design experience. Originally we only worked for Winston Cup teams, doing their cylinder heads and manifolds. Now we do work for all Racers and Engine builders! From 1980 to 1992 we were the best kept secret for cylinder heads in Winston Cup racing.Capturing countless wins and 5 championships in that time. Over the past several years we have had 3 National record holders in Super Stock drag race. HVH currently powers the fastest small block Chevy in the world on street tires and through mufflers. Drag racing in the NSCA Outlaw Street class, Kevin McCurdy runs 7.20's @ 202 mph in his Camaro!. 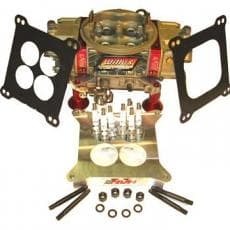 We also have our own designed manifolds (the Brodix "HV" line), cylinder heads (Canfields Big Block and 220 cc SBC) and carb spacers (Super Sucker). 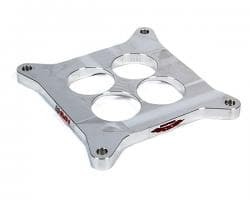 HVH Super Sucker Carburetor Spacer, Lightweight 1"